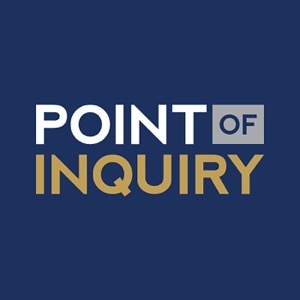 Point of Inquiry is the Center for Inquiry's flagship podcast, where the brightest minds of our time sound off on all the things you're not supposed to talk about at the dinner table: science, religion, and politics. Guests have included Brian Greene, Susan Jacoby, Richard Dawkins, Ann Druyan, Neil deGrasse Tyson, Eugenie Scott, Adam Savage, Bill Nye, and Francis Collins. Point of Inquiry is produced at the Center for Inquiry in Amherst, N.Y.